This is going to be a hard post to write without cracking endless jokes about the effects of marijuana on one's general well-being... and memory. It's likely that a lot of the people reading this have heard anecdotal testimonials from friends who've raved about how great marijuana is for easing pain and stress of all kinds --- well, at least I have. So yesterday in a widely circulated news story it was reported that a study by ...a team of Montreal researchers has lent scientific credibility to the view that smoking marijuana can ease chronic neuropathic pain and help patients sleep better. What makes this important is that ...people suffering from neuropathic pain often turn to opioids, antidepressants and local anesthetics, but those treatments have limitations and the side effects can be punishing. Marijuana has none of those drawbacks and the stronger the better apparently, as pain intensity among patients decreased with higher-potency marijuana. What's even more remarkable is that there was a study on marijuana (PDF) first published in February, 2000 when researchers in Madrid announced they had destroyed incurable brain tumors in rats by injecting them with THC, the active ingredient in cannabis, and that story has pretty much disappeared down the memory hole. Even during yesterday's reporting on the marijuana story, none of the news articles I accessed mentioned the Madrid study. 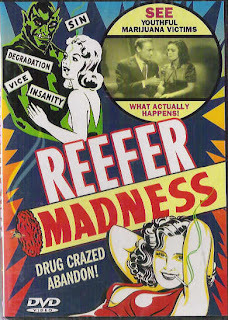 Nor did they mention that in 1974 researchers at the Medical College of Virginia, who had been funded by the National Institute of Health to find evidence that marijuana damages the immune system, found instead that THC slowed the growth of three kinds of cancer in mice -- lung and breast cancer, and a virus-induced leukemia. You'd think this would merit some mention -- you can go read the entire backgrounder published by Alternet. Sadly everything about marijuana has been politicized and there are lobbies working actively to prevent its legalization because it would cut into their profits. The fact that the societal costs of the drug are far less than those of alcohol seems to matter to no one. In fact here in Canada the Harper government is looking at mandatory minimums of the kind the Americans have which have succeeded only in creating an overcrowded prison system and have done nothing to stem the tide of illicit drug use. We need common sense of the kind seen in Portugal when they decided to try something new and decriminalized the use and possession of heroin, cocaine, marijuana, LSD and other illicit street drugs. The results five years later had the number of deaths from street drug overdoses dropping from around 400 to 290 annually, the number of new HIV cases caused by using dirty needles to inject heroin, cocaine and other illegal substances dropping from 1,400 in 2000 to about 400 in 2006, according to a report released recently by the Cato Institute, a Washington, D.C, libertarian think tank. It'd be simply amazing to see and hear something other than fear-mongering and demagoguery from the Tories when discussing important public policy on such controversial issues. We also need to know if medical marijuana is as effective as the above studies suggest. It'd be criminal not to follow up on research that suggests we could save innumerable lives by taking advantage of medical marijuana, wouldn't it?